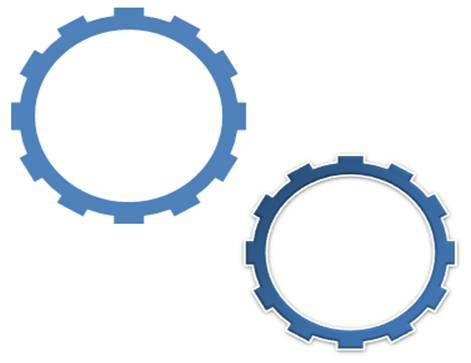 Discover a super easy way to draw gears using PowerPoint 2010. Make any gear you want by following three simple steps. 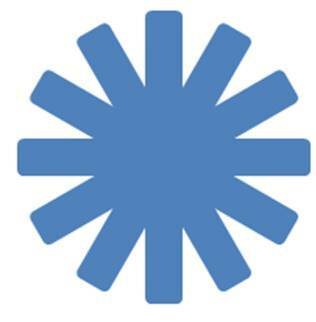 We will create this shape using ‘Shape union’ and ‘Shape subtract’ functions in PowerPoint 2010 or higher versions of PowerPoint. To know more about using these functions, check this article with Video. 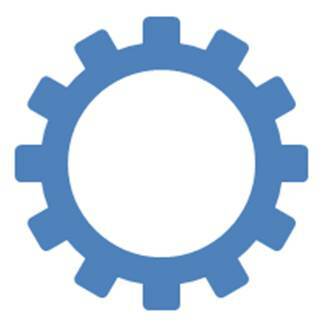 Gears are used as a business metaphor for ‘working together’. 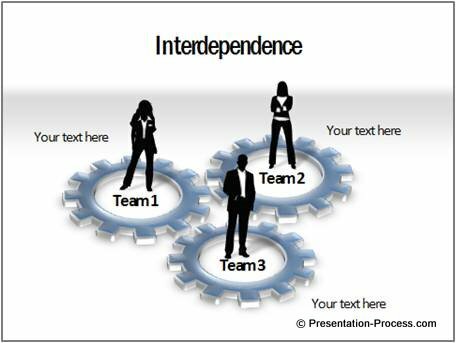 They are used in most of the strategic presentations and HR presentations. 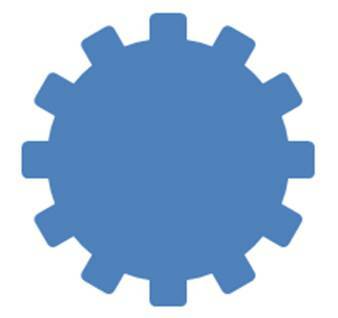 While the shape maybe useful, it is not easy to find good editable gears to use in PowerPoint. The gears you find in SmartArt are fairly elementary and overused. 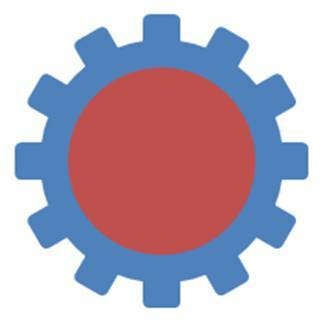 In this tutorial, we will learn to create a gear in one minute or less. What is more, you can create any type of gear you want – using 3 simple steps. Remove the outline and make 3 copies of the shape. Once you have the above pattern, draw a large circle in the centre. Select all the shapes and press ‘Shape union’ option. We are now ready with the basic gear shape. 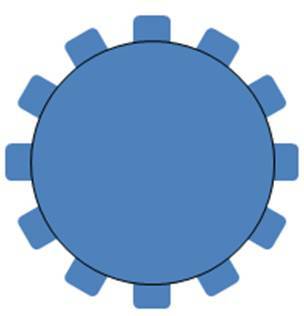 Draw a small circle on the center of the basic gear shape. Our Gear Shape is now completely ready. You can vary the size of the circles and create interesting alternatives like these. 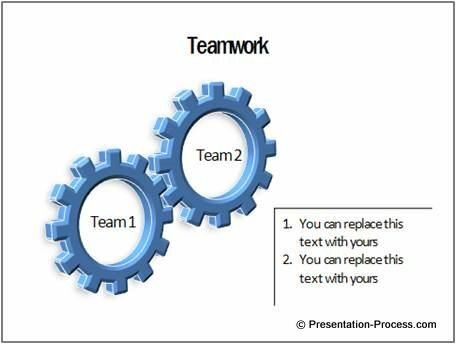 Using Shape Union and Shape Substract Options in PowerPoint allows you great deal of flexibility in creating PowerPoint Shapes. 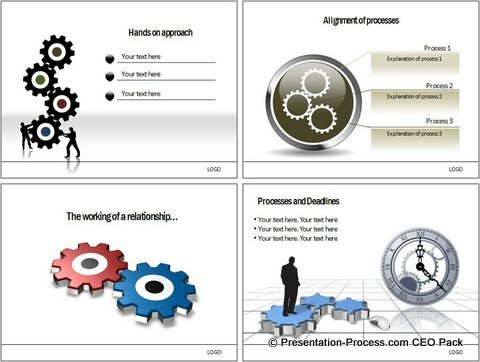 Its not just gears, you can create a range of diagrams with it.